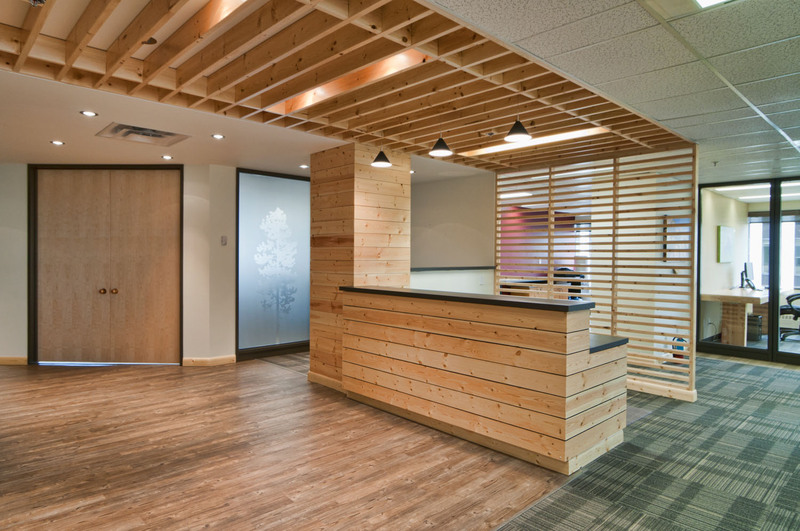 Alberta Forest Products Association : Wolski Design Group Ltd. 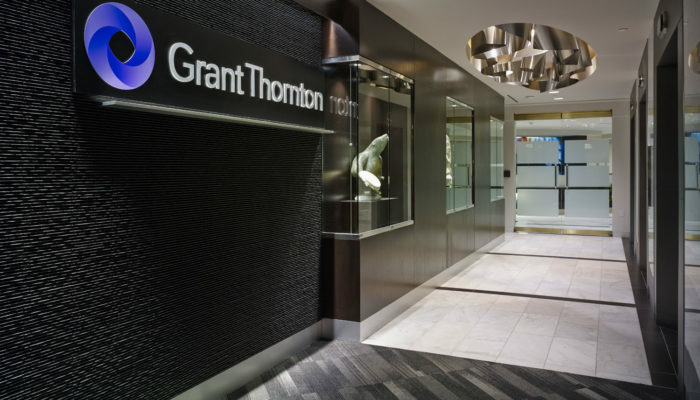 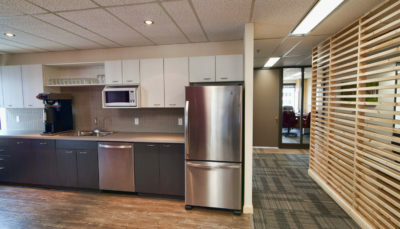 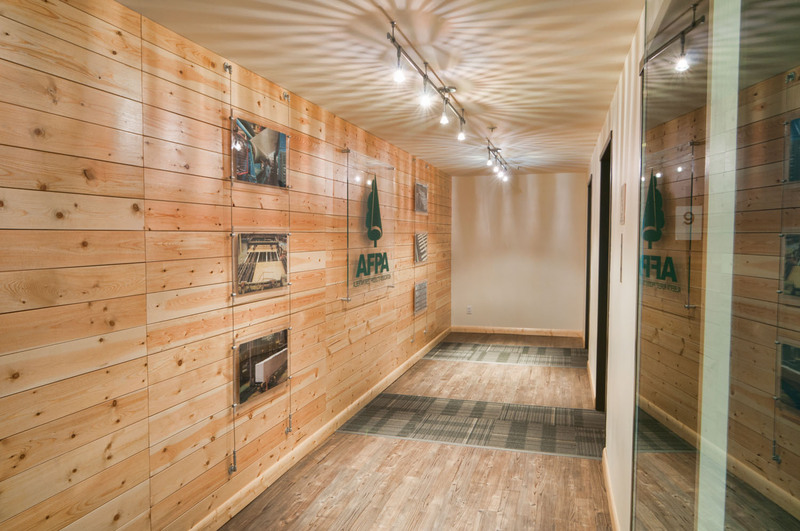 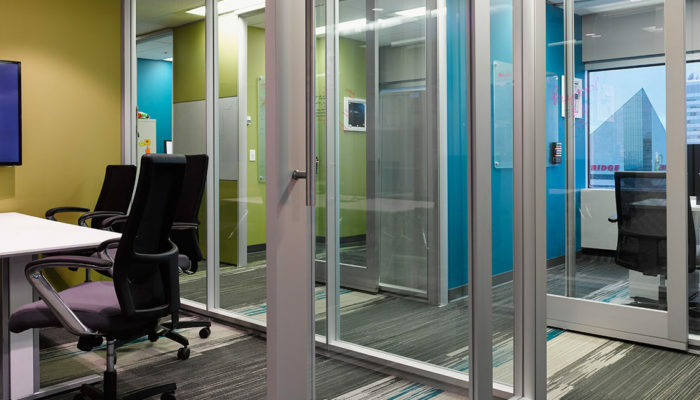 This office’s timbered design reflects the AFPA’s role as Alberta’s advocate for wood product suppliers. 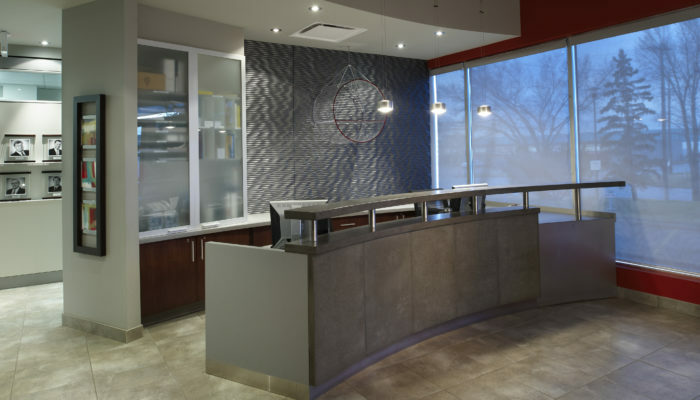 Organic elements form a refreshing landscape, reinforcing the non-profit’s association with its natural product. 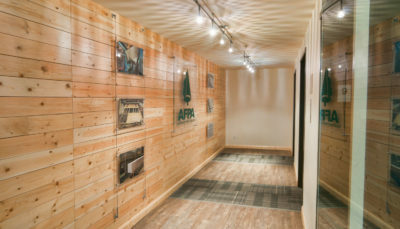 Wood materials supplied by AFPA members weave together for a dramatic impact. 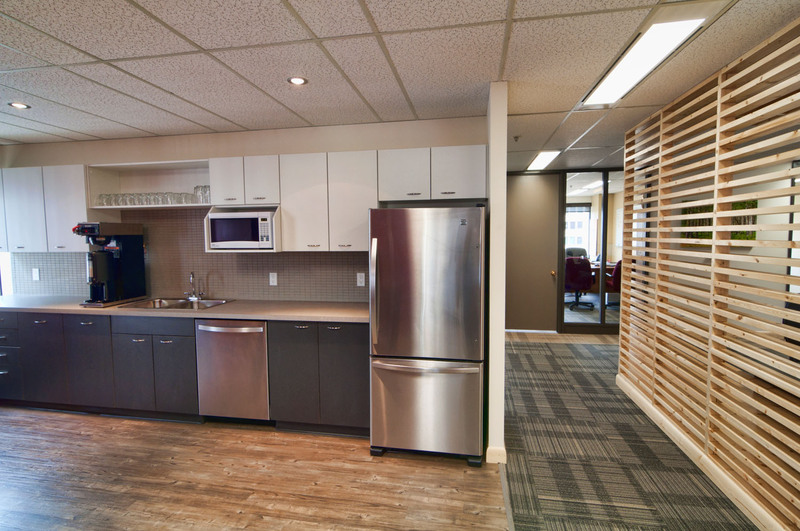 Spruce, pine and fir lumber contrast throughout the space to achieve a “butcher block” look. 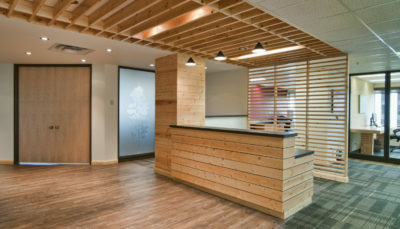 A wood slat wall feature adds visual dimension and texture, while a wood ceiling brings another fresh natural element into the design. 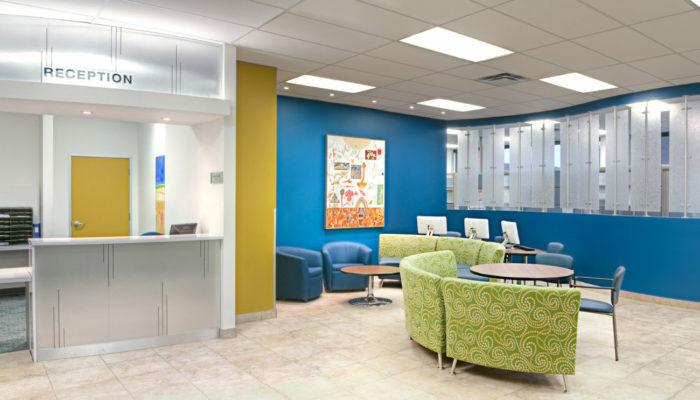 Organic elements form a refreshing landscape, reinforcing the AFPA’s association with its natural product.